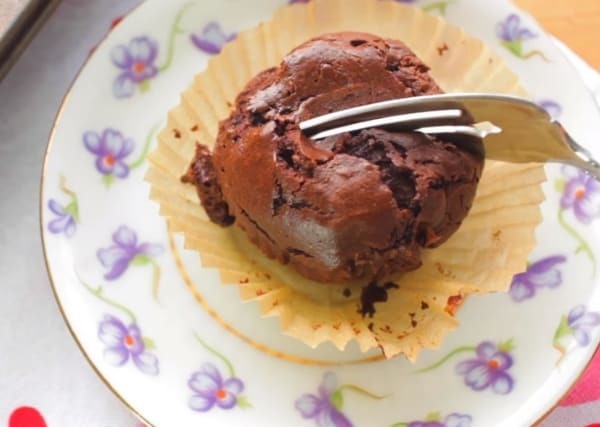 An easy 3 Ingredient Chocolate Cupcake made with flour, eggs, and chocolate chips. 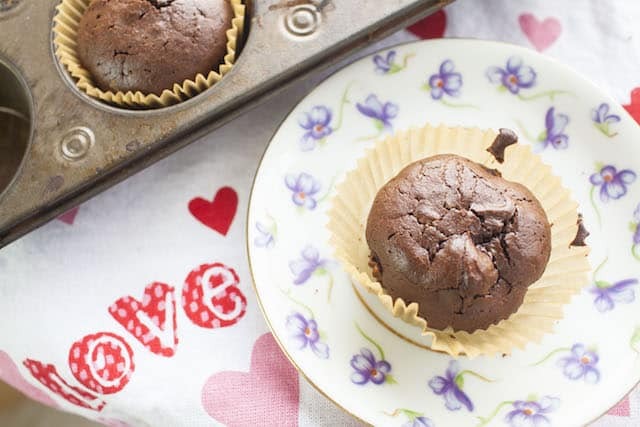 These chocolate cupcakes are more on the dense side, but delicious and satisfying. It is important that before measuring your all-purpose flour, sift it in a fine flour sieve to avoid lumps in your cupcake. 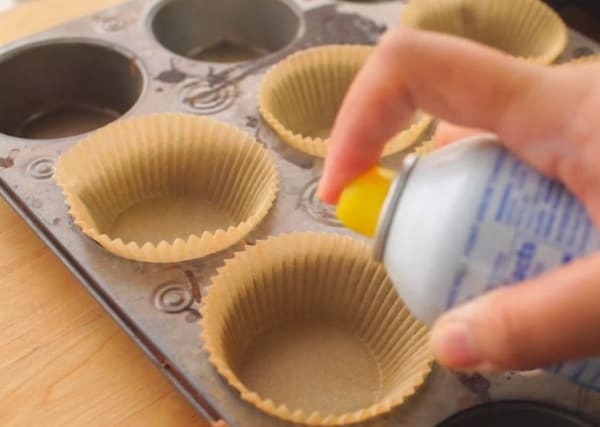 Always remember that spraying your cupcake liners is a must. This is helpful especially in recipes where no oil or any fat/shortening is added. 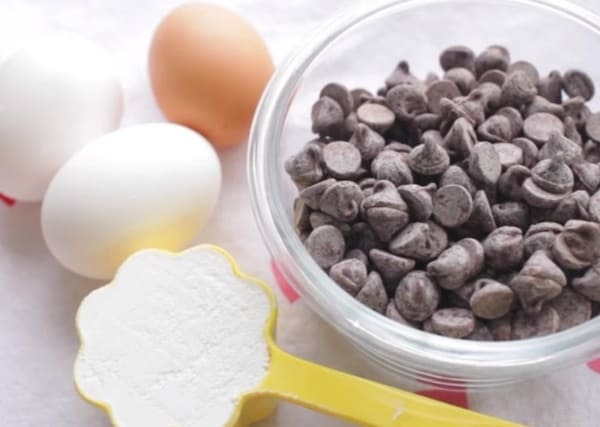 The cooking spray prevents your baked products from sticking in the liners. 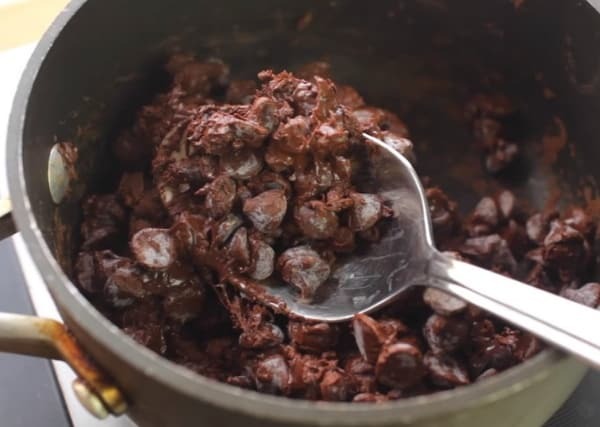 When melting chocolate, be careful not to put your stove on a very high heat. It will burn your chocolates and it will also cause it to curdle. 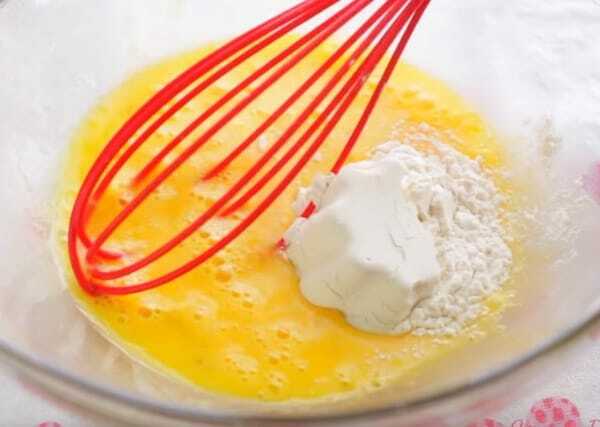 After baking your cupcakes, you can always be playful on what frosting you would like to have. My suggestions would be Nutella, cream cheese frosting, whipped cream, chocolate frosting or ganache, vanilla buttercream, peanut butter, or just plain confectioner’s sugar. The consistency has to be slightly runny, just like this. Set this bowl aside. 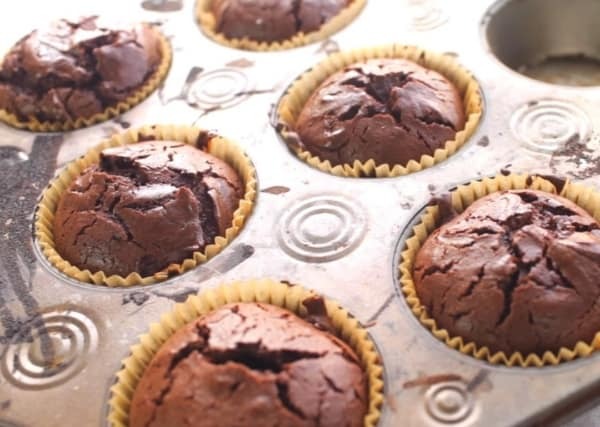 Don’t worry if your cupcake liners do not look neat after adding the batter. It will hold up its shape and will turn out pretty once it is baked. 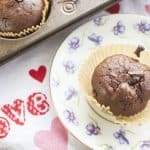 After baking for 15-18 minutes, here is your 3 ingredient cupcake, smelling so delicious and chocolatey! I was so excited to take a spoon and taste it, and indeed, it’s perfect! The cupcake texture was moist and it was not too sweet since we did not add any granulated sugar. Perfect to have with a cup of brewed coffee! 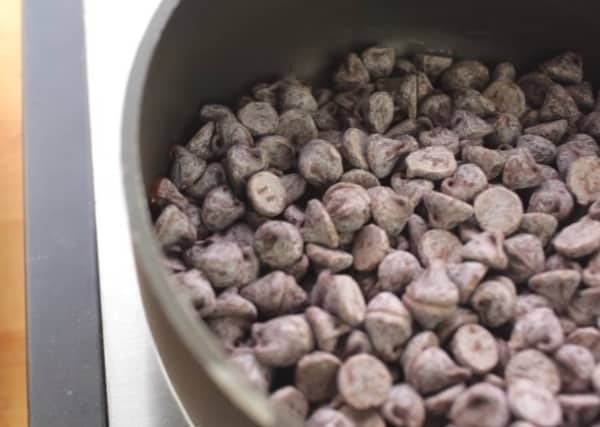 Here’s a full video to completely guide you through the baking process and the recipe is below, Enjoy! 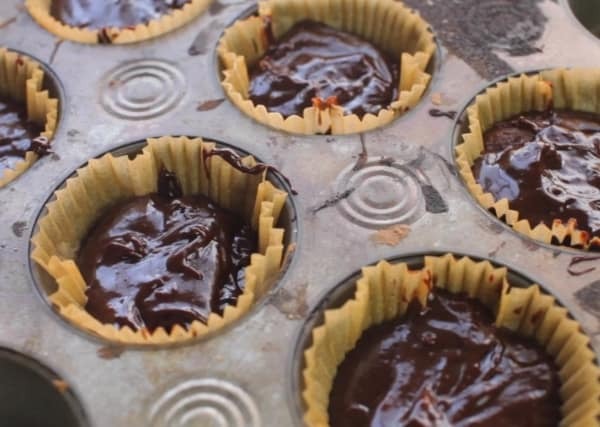 Preheat oven to 350 F, line 6 cupcake tins with liners and spray with oil. 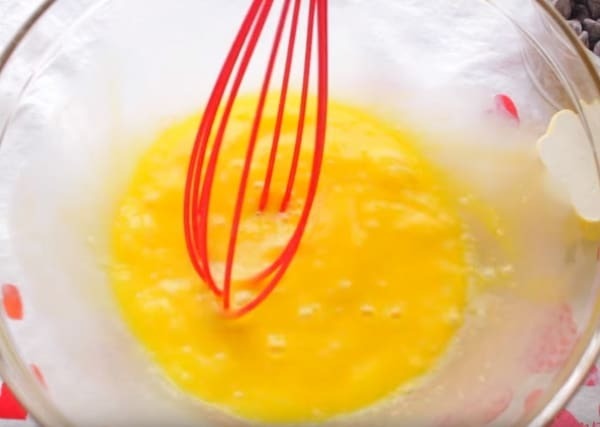 In a large bowl add 3 eggs and whisk it well. Next add the all purpose flour and mix until you see no lumps. Set this bowl aside. 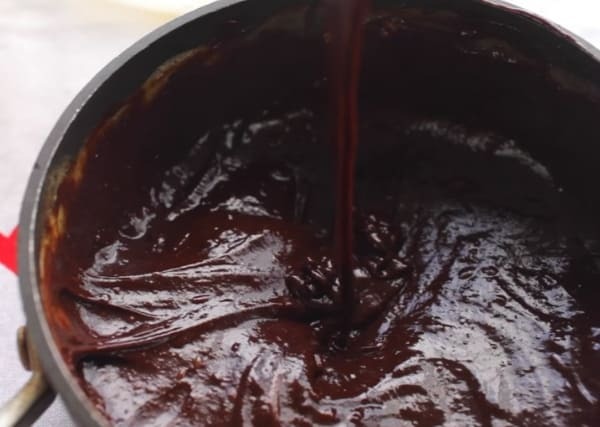 In a sauce pan add the chocolate and melt the chocolate until it is nice and smooth and be careful not to burn the chocolate. 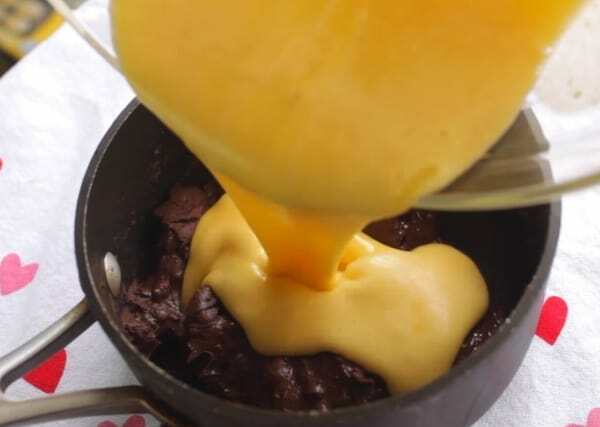 Once it’s nice and smooth add the egg mixture to the chocolate and mix very well. 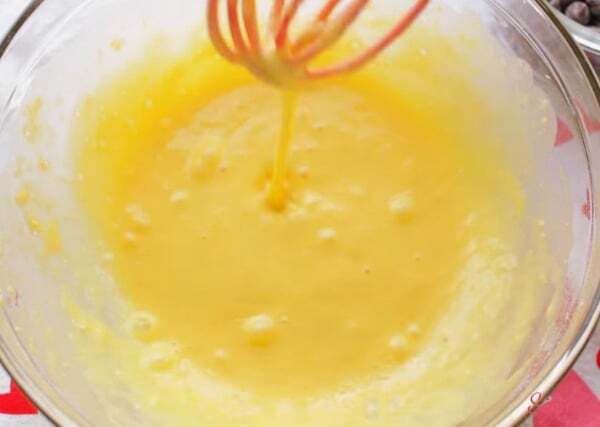 Then take your cupcake pan that is lined with 6 cupcake lines and make sure to spray it and add the batter into the liners.